Located in the costal town of Negombo, 30kms North of Colombo, the capital city of Sri Lanka. PODIE is a People based organisation mainly working with small scale organic farmers in the remote villages in Sri Lanka and they are the main stake holders in our organization. We are one of the pioneers in initiating the Fair Trade activities in Sri Lanka and also an active member of World Fair Trade Organisation (WFTO). PODIE is a processor & exporter of value added organic spices & allied products. 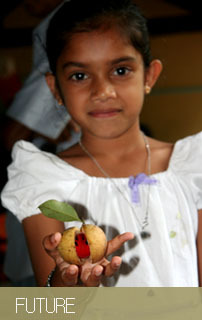 Organically grown raw materials for these products are purchased from our farmer & producer groups based in the remote villages in Sri Lanka. These farmer & producer groups are organized as co-operative societies & affiliated to our organization. 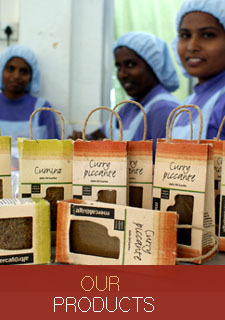 The processing & packing of the final products for export market are been done at our unit in Negombo.